← SHOW: Sat Aug 30th @ Oasis Texas Brewing Co.
My favorite festival!! 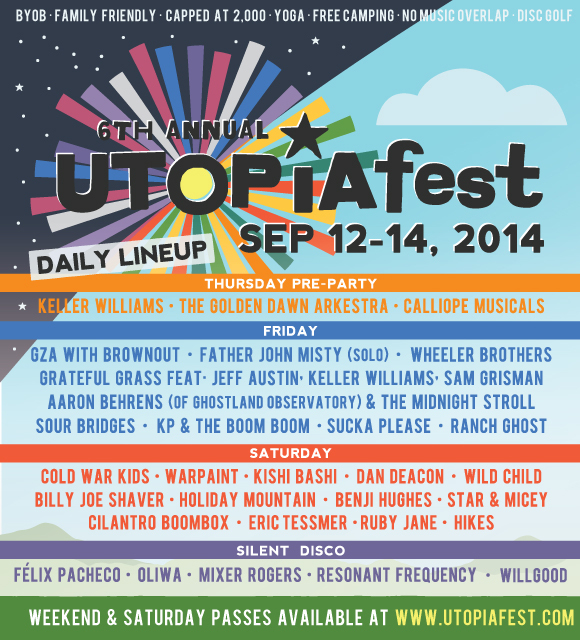 So happy to be a part of the 6th Annual UTOPiAfest Sept 12-14 out in Utopia Texas. I mean look at the lineup. Ridiculous. I’ll be there the whole time and I’ll be DJing the Silent Disco late on Friday night and the Kids Silent Disco during the days. It’s absolutely the best festival I have ever been to, or participated in. Watch the video below. (See if you can spot my cameo. It’s quick.) Get your ticket here, pack a tent, pack a cooler and come on. Let’s hang out.